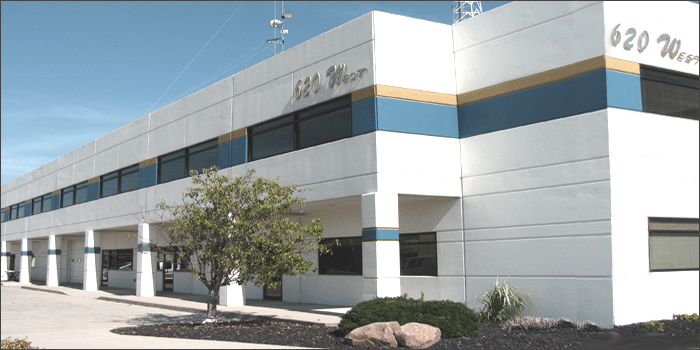 Founded in 2001, Indiana Data Center (INDDC) has become the leader in business-class communications and advanced data services for Fort Wayne and Northeast Indiana. Indiana Data Center’s facility is a disaster resistant concrete bunker constructed of 6 ½” concrete walls. The NOC and Server rooms are bunkers inside the primary facility and are also constructed of 6 ½” concrete walls. The data center is powered by a conditioned, 480V three-phase primary grid. In the event of primary grid failure, all power seamlessly fails over to our parallel UPS systems. Diesel generators are on standby in the event a primary grid outage will exceed the capabilities of the UPS system. Through raised floors and redundant cooling units, the temperature and humidity of the server rooms is closely monitored to maintain ASHRAE Environmental Guidelines to promote optimal performance of servers and network infrastructure. Internet connectivity powering the Data Center is multi-homed with full BGP routing. In addition to Internet, Indiana Data Center’s fiber network can provide a means of high-bandwidth, P2P connectivity between hosted infrastructure at the data center and customer premises. In addition to Hosted solutions, Indiana Data Center provides solutions to assist organization in the continuity of operations and meet disaster recovery requirement including HIPPA compliance and SOX. These solutions include Data Protection and Resiliency through Offsite Storage and Recovery, Disaster Recovery and Worksite Recovery Services. Our 620 West Conference Center provides video conferencing, meeting, seminar and training rooms in a quiet separate environment at prices less than hotels or large convention centers.